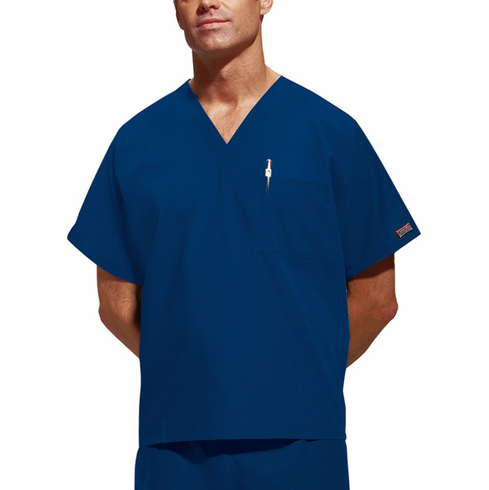 Cherokee Workwear Scrubs Unisex Scrub Top V neck single chest pocket with pencil slot. Center back length 27.5". 65% poly / 35% cotton. All colors will match the Workwear pants. A best seller for Scrub Mart on line & in our uniform stores. Copyright � 1999-2019 Scrub Mart All Rights Reserved.